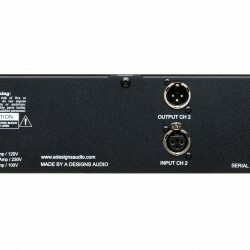 Following the success of its EM-PEQ 500 Series equalizer module, A-Designs Audio is proud to now announce the availability of a new two-channel rack-mounted version known as the EM-EQ2. 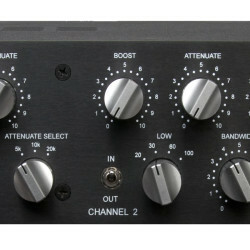 The EM-EQ2 is a dual-mono equalizer housed in a rugged, all-metal 2U chassis. Sonically nodding to the classic Pultec EQP-1A sound, the EM-EQ2 utilizes the same discrete Class AB amplifier found in A-Designs’ popular solid-state EM-PEQ and Pacifica mic pres, putting a slightly unique twist on the classic filter design of yesteryear. That aside, the EM-EQ2 faithfully preserves the EQ section design, control layout and wonderfully smooth musicality of the original Pultec unit.